Former DNR Commissioner Dan Sullivan announces his bid for U.S. Senate. Photo by Annie Feidt/APRN. Former Alaska Department of Natural Resources Commissioner Dan Sullivan announced that he’s running for U.S. Senate Tuesday in Anchorage. Sullivan joins a crowded field of Republicans trying to unseat Democrat Mark Begich next November. Wearing blue jeans and work boots with a jacket and tie, and with his wife and three daughters standing beside him, Sullivan said one focus of his campaign will be the fight against federal overreach. “Now many people talk about this idea, but I am proud to have been on the front lines over the past four years actually fighting the fight, in the arena every day on this very critical issue,” Sullivan said. He says he resigned as DNR commissioner in September to focus “110%” on the Senate campaign. Sullivan also served as Alaska’s Attorney General and is a Lieutenant Colonel in the Marine Corp Reserves. He will campaign against Lieutenant Governor Mead Treadwell and Joe Miller to win the Republican primary next August. 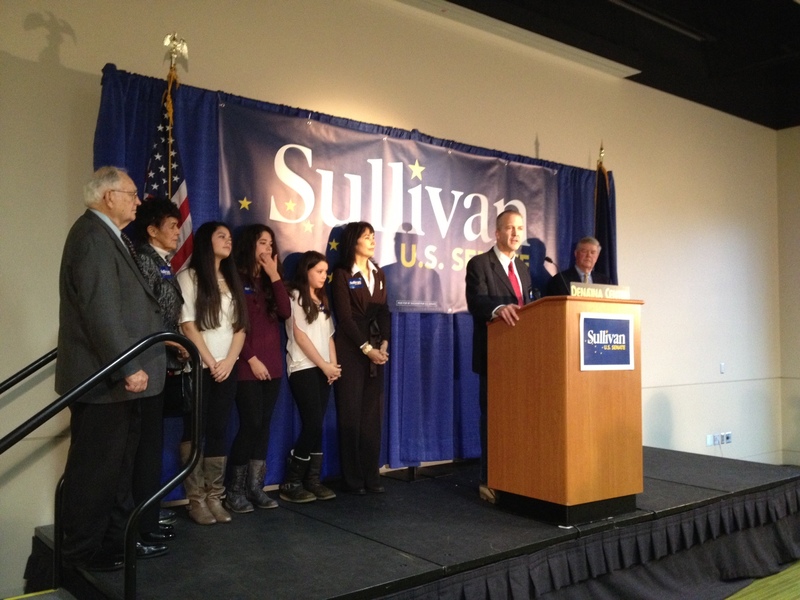 Sullivan says he will start his campaign across the state today with stops in Wasilla and Fairbanks.